It was the familiar voice of Mr. Spock on the phone although Leonard Nimoy, who died today aged 83, at the time was soon to publish his defiant memoire, “I Am Not Spock”. 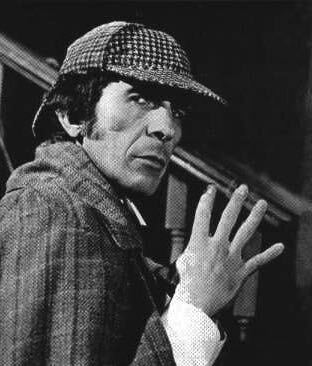 It was the mid-1970s and Nimoy was on tour in a production of the 1899 William Gillette and Sir Arthur Conan Doyle play, “Sherlock Holmes” in the title role. He had performed it on Broadway and now the play was on at the Fisher Theatre in Detroit. I had interviewed the actor for The Windsor Star and shortly after my story appeared, Nimoy phoned to ask if I would like to join him and the cast and crew of the play on a day’s outing to the Henry Ford Museum complex in Dearborn, Michigan. I have no idea why he asked me although perhaps it was because I was not a great fan of “Star Trek” at a time when he wished to distance himself from the show and a few years before the first movie changed things, plus I had praised his performance as Holmes. He never said, but it was a lovely day, relaxed and off the record. I mingled with the cast as we strolled around the automotive attractions and often found myself chatting just with Nimoy. We had a great lunch and I’m pleased to report what a decent and charming man he was. This entry was posted in Film, Memory Lane, Recalling ..., Television, Theatre and tagged 'Sherlock Holmes', 'Star Trek', Leonard Nimoy. Bookmark the permalink.